Kick off the season at the Holiday Sing-Along and Downtown Stroll, Saturday, December 5, with KUT, KUTX and the Downtown Austin Alliance. 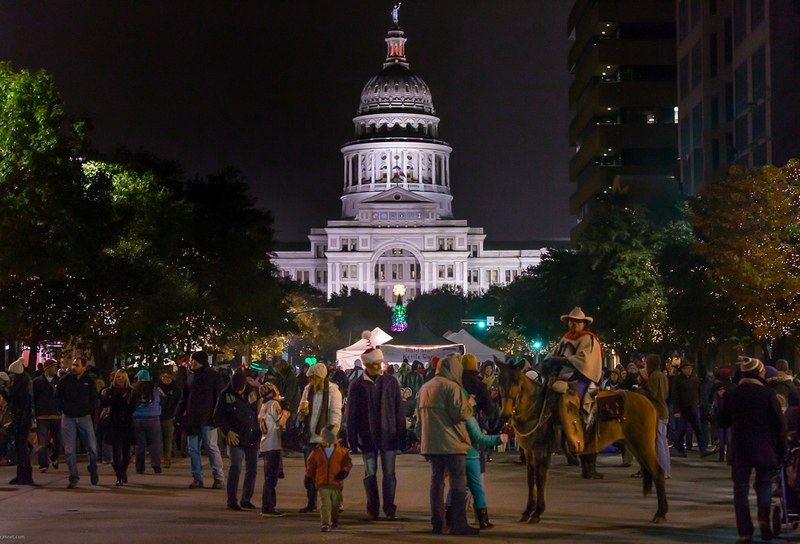 This free all-ages event begins at 6 p.m. on the south steps of the Capitol with KUTX’s John Aielli leading the crowd in singing songs of the season. Rusty on the lyrics? We’ll be passing out free commemorative songbooks.